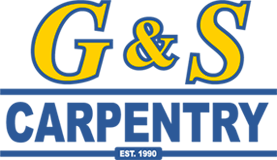 G & S Carpentry Services 1990 Ltd. is a locally grown and established carpentry and building company. The company, which has been trading since 1990, is managed by director Geoff Ballay, a fully qualified, locally born carpenter with many years of experience in all aspects of carpentry and buildingworks. Proud of its local heritage, most of the 11 strong workforce have completed their tradesmanship with the Guernsey College of Further Education. All employees are City and Guilds qualified and up to date on Health and Safety, including asbestos awareness.